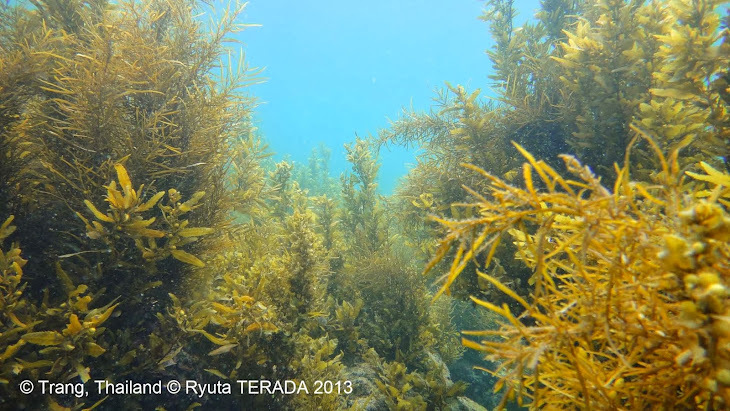 This is an annual contribution of the Marine Botany Lab of Kagoshima University in 2017. I would like to express my gratitude to all of the students, colleagues, co-authors and contributors. Thanks for a great year. 7. Krueger-Hadfield, S. A., Kollars, N. M, Strand, A. E., Byers, J. E., Shainker, S. J., Terada, R., Greig, T. W, Hammann, M., Murray, D. C., Weinberger, F., Sotka, E. E. 2017. Genetic identification of source and likely vector of a widespread marine invader. Ecology and Evolution 7 (12): 4432–4447. DOI: 10.1002/ece3.3001 (Online: 11 May 2017; Issue: June 2017).